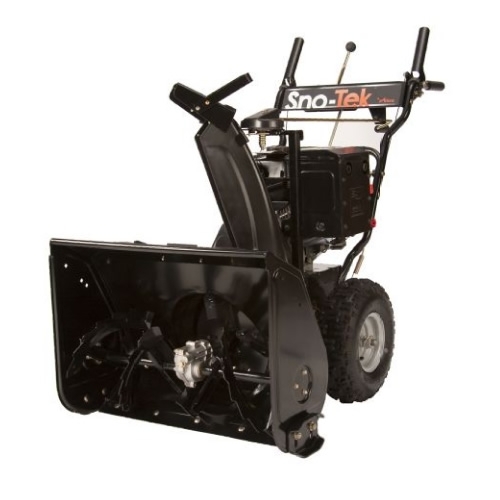 Ariens Sno-Tek 22 are both efficient and affordable two stage Snowthrowers offering reliable performance, with top value in mind. Standard features include LCT 136cc OHV e/start engine, high flow, impact resistant Polymer Discharge chute, heavy duty Aluminium Auger gearbox, fully welded steel frame for robustness, steel dash panel and folding handlebars with dual handle and 6 forward and 2 reverse gears. 2 year warranty.